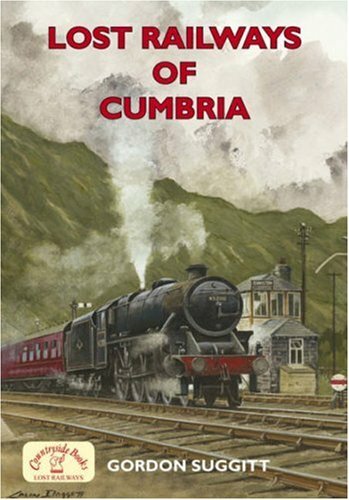 It may come as a surprise to many to know that surrounding the Lake District there once was a web of railway lines. Especially since the 60s and 70s most have lost their rails, although quite a number have taken on a new lease of life as footpaths, while their disused viaducts have come to be protected as monuments to the engineering skill and artistry of their Victorian builders. Other stretches of track are now in the enthusiastic care of preservation societies. This excellent little paperback of 160 pages (published by Countryside Books, 2008) is packed with interesting content. This is supported by a wealth of black & white photography showing ‘lines gone by’ from the Solway coast down to the coal and iron empires of West Cumberland, then further to the steel and shipbuilding of the Furness Peninsula, and round to the east on virtually forgotten lines by Sedbergh, Tebay and even over Stainmore to the east coast connurbations … and these are just a sample of what is covered. Whether interested in railways for their own sake, or simply in the history of the region from the mid-19th century onwards, I can’t see how anyone can fail to be fascinated by these stories of how goods and people once were moved on rails around what is now Cumbria in the days before the triumph of asphalt and the internal combustion engine.